After two years of planning and preparation, on September 15, 2014 the U.S. Department of Education’s Institute of Education Sciences (IES) successfully completed migration of its on-premises datacenter to the Amazon Web Services GovCloud region. As an Amazon Consulting Partner, Blue Raster led the effort to consolidate IES’s National Center for Education Statistics (NCES) ArcGIS servers from a hybrid on-premise/private cloud-hosted environment to their AWS GovCloud account. The GIS servers are built using Amazon Machine Images (AMIs) with Esri ArcGIS Server and SQL Server. These servers power the newly released MapED website, as well as the NCES’s School District Demographic System mapping application, a national survey effort that includes a GIS feature editing application to collect school attendance areas. 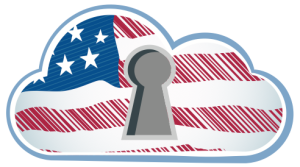 Designed specifically to meet the needs of U.S. government agencies, the AWS GovCloud (US) framework allows agencies, contractors, and customers to migrate sensitive workloads into the cloud while adhering to U.S. International Traffic in Arms Regulations (ITAR) as well as the Federal Risk and Authorization Management Program (FedRAMPSM) requirements. Contact us today to learn more about migrating ArcGIS server workflows to Amazon Web Services.